If you have been issued a Careless Driving, Stunt Driving, or Speeding ticket, or any other traffic charge in Newmarket, Ontario, and if you are considering fighting the charges in court, then we recommend that you first talk to an experienced agent, an expert on traffic ticket defence in Newmarket, about your chances of success. At Ticket Defenders®* you can get professional advice regarding your chances in court at no charge, as the initial, free, no-obligation traffic ticket consultation with our agents is always free. Then, if you wish so, we can also defend your traffic charge in court for you. When you call our office, you will reach a network of highly trained, professional agents that can answer any questions you may have after receiving a Speeding Ticket or Seatbelt charge, Careless Driving, No Insurance, Stunt Driving, or any other traffic charge in Newmarket. When speaking with a Ticket Defenders®* agent, you will have all your available options explained to you. We will take the time to ensure that you understand the charge you have been issued, and what we can do to defend it. We will ensure that you receive all the information regarding your charge, so that you can make an informed decision on how to deal with it. We understand that for many people that receive a traffic charge, deciding on how to deal with it is confusing and intimidating. Even just the thought of having to appear in court for many people is enough to make them simply pay their ticket, even though they are not guilty of the offence for which the ticket has been issued. By hiring a Ticket Defenders®* agent, you can get the defence you deserve while not having to appear in court. Ninety percent of the traffic tickets in Newmarket that we deal with do not require the defendant to attend court. Let the agents at Ticket Defenders®* defend your traffic charge in Newmarket court. 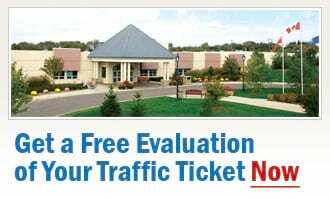 Our experts on traffic ticket defence in Newmarket make it their mission to secure you the best possible result for your case. We will aim to save you convictions, demerit points and insurance rates.